Take the 2011 Lincoln MKX's upgrades: 3.7-liter V6, MyFord Touch and button-free interior. Now restyle it. 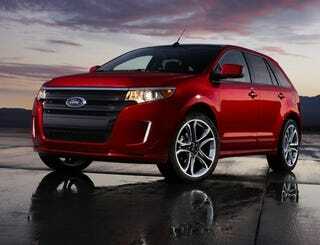 That's the 2011 Ford Edge. The one noteworthy difference is it'll serve as the first application for new 2.0-liter Ecoboost. The rest? Eh.